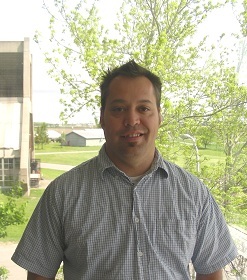 Dr. Bilodeau is a Research Scientist in the Canadian Food Inspection Agency. His role in the CFIA is to plan, organize, coordinate and conduct research and development of technologies for detection and identification of plant pests and/or nematodes of regulatory significance. He has previous research experience at the USDA-APHIS working on pathogen detection and at NCRCan working on Sudden Oak Death molecular detection. Dr. Bilodeau provides expertise on the sequencing, analysis and detection of Phytophthora species. He participates in the testing and validation of the diagnostic assays and is a key player in the technology transfer of the developed assays to operational diagnostic labs.